Uruguay is a country of almost 3 and a half million inhabitants that has no oil reserves and that until just over 10 years ago imported oil from neighbouring countries. Thanks to the green energy policy launched in 2000, and today, the country produces 97% of the total electricity from renewable sources: solar, hydroelectric, wind, and biomass. A true revolution, the result of a well-structured energy plan, a favourable legislative framework and a strong collaboration between the public and private sectors, which brought a lot of green electricity, at lower costs than in the past. However, in a country where the summer is very hot, and the winter is very cold, energy remains an important item of expenditure, even crucial in the case of modern shopping centres, which are considered to be very high energy-consuming structures. 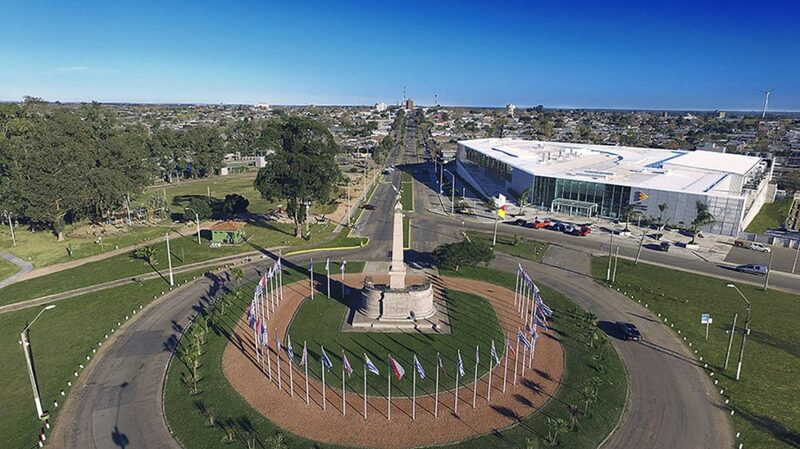 The city of Las Piedras, in the Canelones region, in recent years has become a rapidly growing urban centre, following the strong metropolitan development of the capital Montevideo. In this area, which is mostly rural and characterized by small businesses, it lacked a communal centre able to offer not only shops but also catering areas and recreational services for citizens. 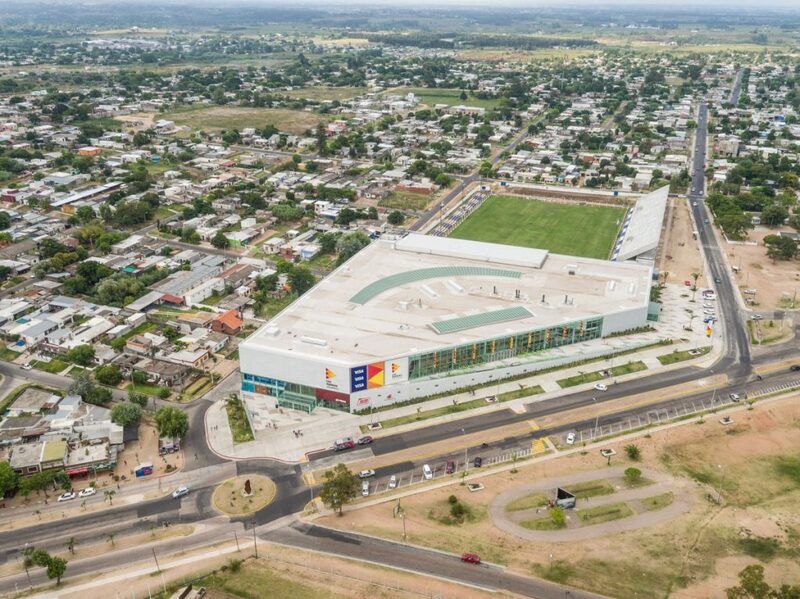 To serve this growing community, the Las Piedras Shopping mall was created: a total of 38,000 m² with 100 shops, 5 movie theatres, 1 superstore, a large food court with 12 different restaurants, with a total capacity of 600 people. The building is on three levels, the underground level is dedicated to parking, the other two are for commercial and recreational activities. The centre overlooks Artigas Park with large windows, fitting harmoniously into the surrounding environment. Given the green context in which the structure stands, sustainability and respect for the environment were the cornerstones for the design of the entire building. Great importance was given to lighting, with large use of windows and therefore natural light, flanked by artificial LED lighting. A rational use of water has also been provided, thanks also to a double supply system that distinguishes drinking water from that for service use. Finally, the centre’s air conditioning and ventilation system has also been designed and implemented with a strong focus on energy savings. 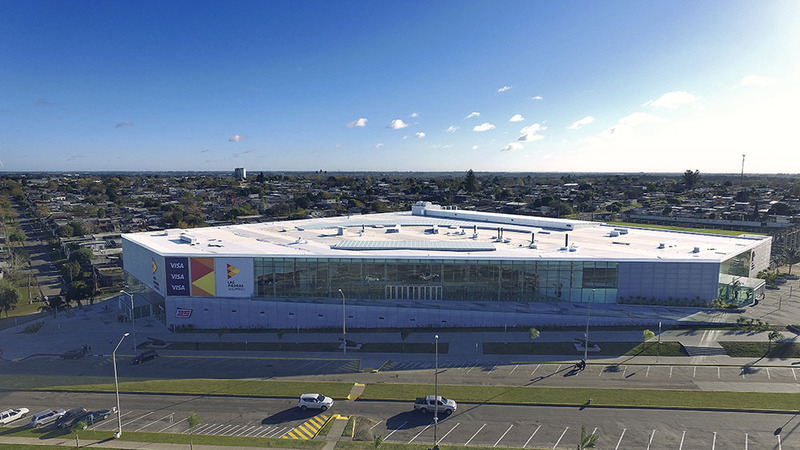 The air conditioning of the shopping centre is based on a centralized system with water-cooled liquid chillers that provide the various commercial premises and air-handling units that serve all the common areas. To optimize the energy performance of the building, a free-cooling system was also set up to exploit the favourable temperatures of the outdoor air to support the air conditioning system. The air treatment is carried out by 10 WIZARD-TA-7500 CA air handling units, with a total air flow rate of 244.035 m³/h.